Check out our blog CFAS News for store updates, product information, and specials! 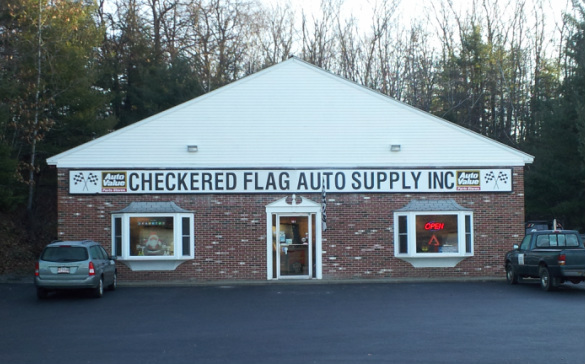 Checkered Flag Auto Supply, Inc. is a family-owned and operated business and we pride ourselves on being an independent auto parts store. If you are looking for friendly and knowledgeable staff as well as reliable auto parts you have come to the right place. AYER, SHIRLEY, GROTON, WESTFORD, LITTLETON, BOXBOROUGH, HARVARD, LANCASTER, LUNENBURG, TOWNSEND, GROTON, PEPPERELL, DUNSTABLE, TYNGSBOROUGH, CHELMSFORD, ACTON, MAYNARD, STOW, BOLTON, STERLING, LEOMINSTER, FITCHBURG, ASHBY, CLINTON, BOLTON, and many more communities in Massachusetts and New Hampshire!